This word has confused and worried Business Owners for over a decade now with online shopping being a pinnacle of a wide range and functional website. If you have things to sell, you’re most likely going to need a functional online store. Before we get into the best themes and looks for your online store, first let’s explore what Woo Commerce really does and how it plays into your online business. A great tutorial from ithemes explains Woo Commerce as a plugin that integrates easily with your existing WordPress site, turning your site into a fully functional WordPress e-commerce website with just a few clicks. With the plugin’s booming success since it’s launch in 2011, it now currently powers over 99% of WordPress e-commerce websites in the US, Canada, and the UK. The best part though? WooCommerce is designed to make getting started as easy as possible, with a simple installation and setup to get your e-commerce store up and running in no time! Attractive Design – On top of looking good, your chosen theme should be appropriate for your audience and the type of products you sell. For example, if you sell clothes or toys for children, use a theme that has a playful look and bright colors. Continued Updates and Support – Choose a theme that is well-supported and maintained to avoid any possible conflicts when WooCommerce or WordPress itself as they release their updates. Custom Functionality – if you know that you will require custom functionality like sliders, custom widgets or different layout possibilities, choose a theme that already has those features integrated. Responsive Design and Fast Loading Time – Keep in mind the increasing use of mobile devices and look for a theme that has responsive design and loads fast. 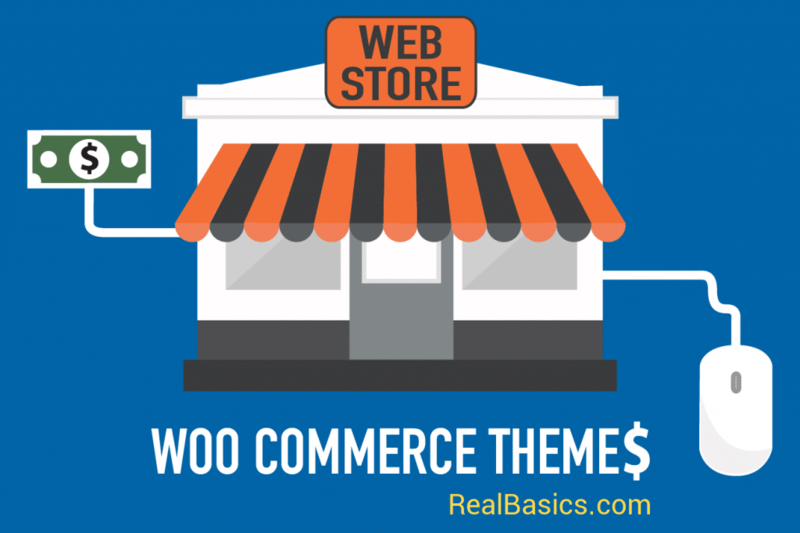 Learn more about what to look for and great suggestions on Woo Commerce Themes here. Still too much for you to take in? No problem! Real Basics can help you set up with Woo Commerce or any online store for your website. Give us a call today to get set up with a FREE Consultation and get your website selling! ← How Do You Avoid Website Sameness?